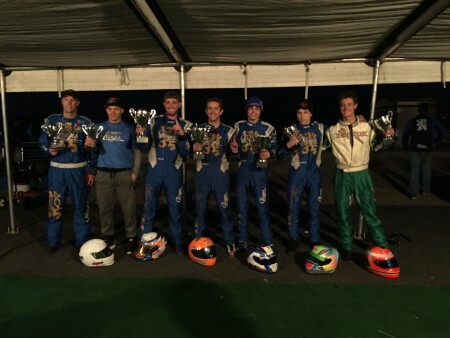 Round one of the California Pro Kart challenge saw the largest field in competitive karting… in the country! over 200 drivers made their way to Buttonwillow Raceway Park to hash it out on the black top. My run group was a combination of Pro and Semi Pro, seeing 11 entry’s in the top class S1 pro, and 18 drivers in the semi pro class i entered. Move in was Thursday, i arrived mid day and walked the track which was still pretty new to me. When my team Musgrave Racing arrived i helped them move in, set up the tents and unload the karts. 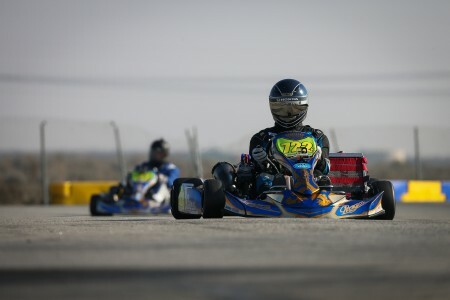 MRC is the fastest growing team in karting and had an impressive 11% of the field pitting with them over the weekend! Its no surprise how many people pit with them, they are showing the sport of karting that you don’t have to spend the most money, have trick engines or hire “special tuners” to win races… as a team we work together sharing data and setups, help out others when they need it and are stronger as a group because of it! That said i started my practice day on the wrong foot, after being rained out the weekend before i had to spend the morning breaking in a new top end on my engine, after running reduced pace laps i was finally ready to start working on chassis set up… i played around with a lot of things that are quick to change but at the end of the day was still unhappy with my performance. I talked with team mates and finally decided to go 100% neutral setup (the karts baseline setup from the factory). After the last session of the day i swapped out my medium hard axle for a medium, went to no caster, and even threw a new chain and my race pipe on the kart…. 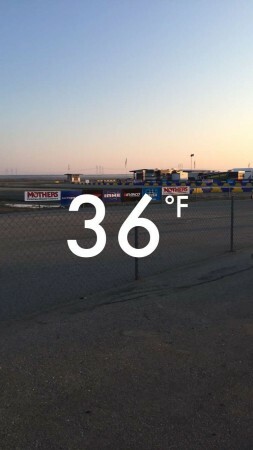 The next morning was cold… it was still in the high 30’s when we went out for our first session and only session before qualifying… needless to say i didn’t get a chance to find the new limits of my better handling kart as the track was still too green. In qualifying i was flying blind, their was no beacon on track and i had to guess what times i was running, i started the race towards the back of the field. As the day went on i learned the track and my kart more, in heat two i made it up to 10th place in class before spinning myself out under braking. In the main i started towards the back again and was able to make it back up to 11th in class. I learned a lot this weekend and am excited for the next round in March at Willowsprings, Ca. Running with the big boys is not easy but i would not have it any other way and will not be satisfied until I’m running upfront. My teammates pulled off an impressive sweep this weekend, congratulations to Billy Musgrave (S1 Pro 1st place), Callum Smith (S2 Semi Pro 1st place), Garret Mckelvie (S3 1st place), Jarred Campbell (S1 Pro 3rd place), Alan Michel (S4 3rd place), John Crow (x30 Masters 3rd place), and Julian Van Der Steur (S3 2nd place)! Michael Korody is shifter kart racer based out of San Diego California with a true love for wheel to wheel. He currently races with Musgrave Racing and occasionally instructs with Don Swanson Racing School, Speed Ventures as well as private coaching. When not racing, he is pursuing a mechanical engineering degree at Mira Costa College, but mainly to become better at his true passion which is motorsport.